We admire the work of Shemee150. He gets around the world and shoots exotic supercars not many people will encounter everyday. 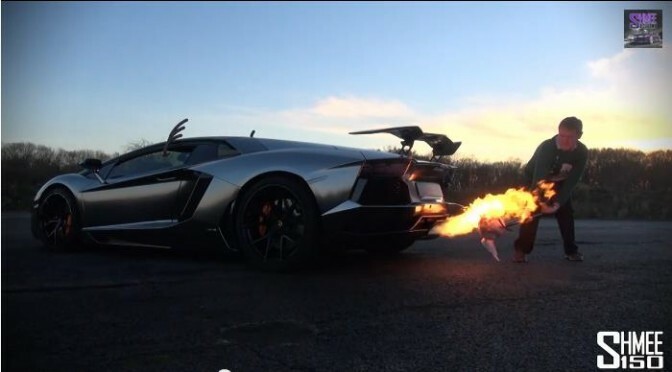 And he made this video of Christmas Turkey being cooked with Lamborghini AventaDEER. He must’ve thought it was funny but…hmmm. Cooking something with shooting flames is nothing new. As far as I can remember, this was the first video to show us that exhaust flames can cook a sausage. Someone in China did the same and they managed to set fire on a sausage. We would love to see GT-Rs cooking something with spitting flames since they do a good job as well. Ah… the explosive sound is simply amazing. Juke R, undoubtedly, is one of the craziest and funkiest cars around with a very BIG price tag. As it is a Nissan Juke with an R35 hardware, the Russian tuning house called SV Engineering decided to build one themselves. Some people may remember this epic run of Juke R against Bugatti Veyron. It could not quite beat the Veyron but it was pretty close. 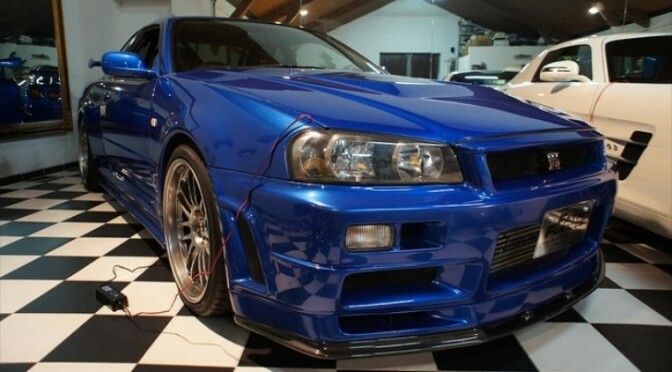 A German car shop called “GT-A” has Nissan Skyline GT-R of the R34 for sale with a price tag of… whopping 1,000,000 Euros. It is claimed that this particular car was driven by Paul Walker’s Brian O’Conner character from the Fast and the Furious movie franchise used in the fourth film. It is a replica of GT-R made from GT-S. It is a replica , used for stunts, of GT-R made from… god knows what and carries a VW bug engine. After a bit of Googling, there seems to be 7 R34s/R34 replicas used in the shoot of Fast and Furious 4… Would you still pay 1,000,000 Euros for this GT-R? Winter has arrived but GT-R is good for snow, too, as proven by guys at Ice Ricers. I’ve always liked their work and I can’t wait to see their new work for 2014… if they are making any. Who in the right mind would drive UP ski slope at this speed in a car?! 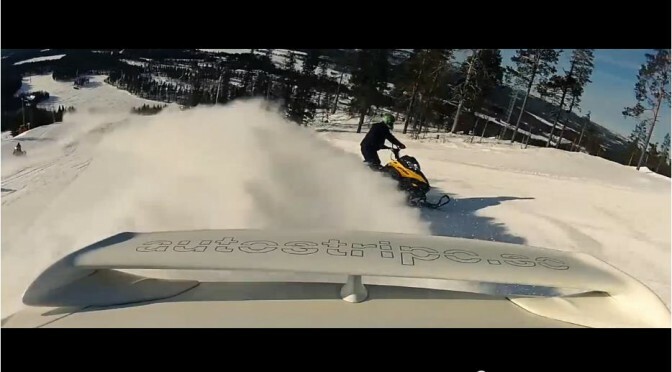 I, especially, like the scene where a GT-R is being followed by snowmobiles. The amount of snow a GT-R scrapes is simply stunning.